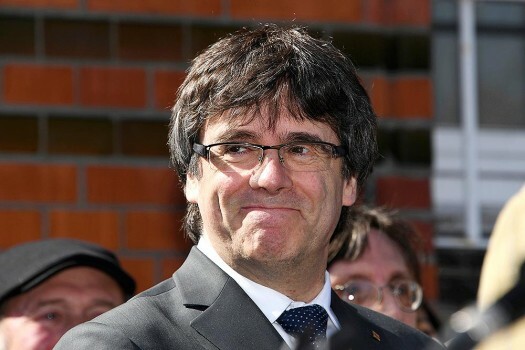 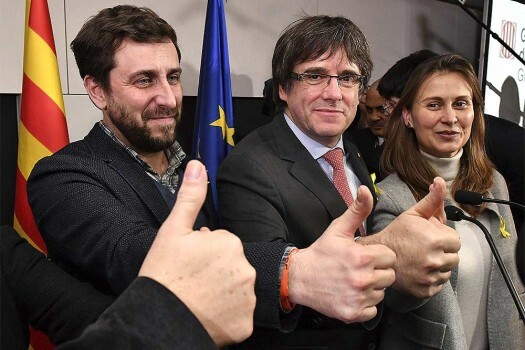 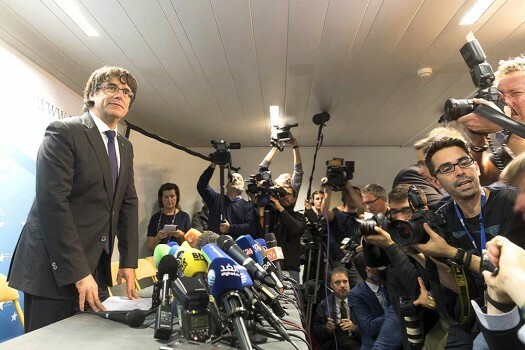 Former Catalan leader Carles Puigdemont smiles when giving a press statement after he was released on bail from the prison in Neumuenster, northern Germany. 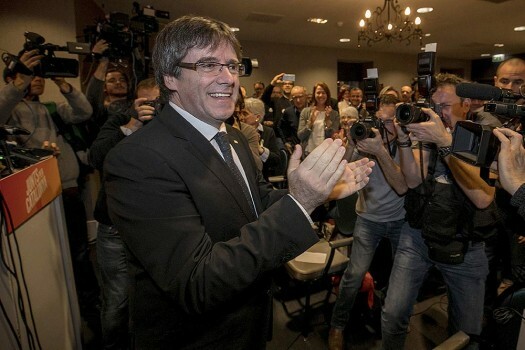 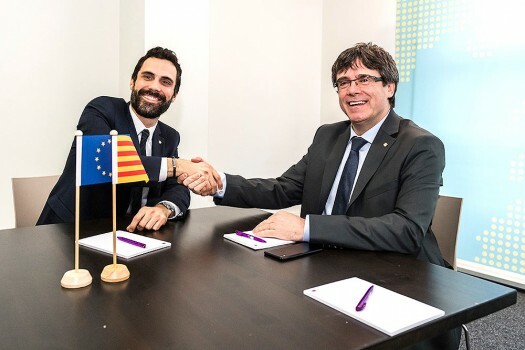 Ousted Catalan leader Carles Puigdemont, right, shakes hands with the President of the Parliament of Catalonia Roger Torrent in Brussels. 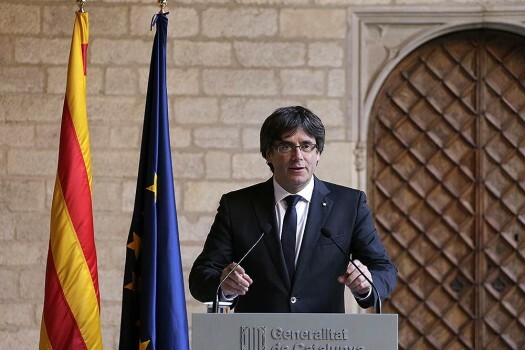 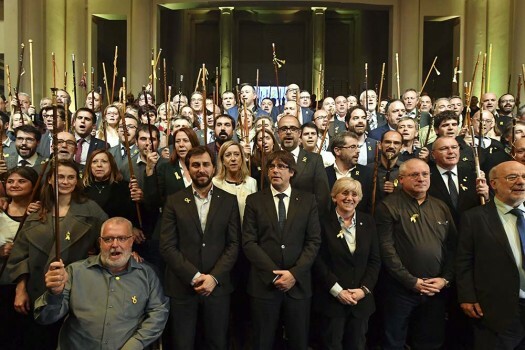 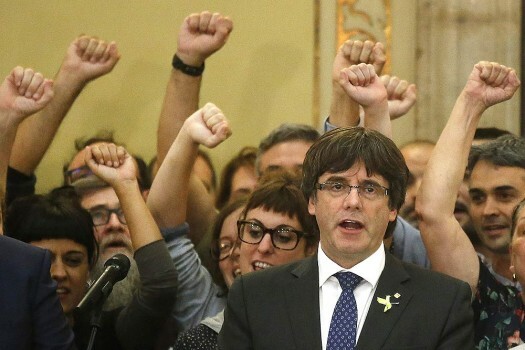 Catalan President Carles Puigdemont sings the Catalan anthem inside the parliament after a vote on independence in Barcelona, Spain.